Innovative Smartphone Beta Program Wants YOU! Here’s YOUR chance to be part of an Innovative Smartphone Beta Program! I am beyond excited to tell you about a new Innovative Smartphone Beta program. This Innovate Mobile Company is looking for Beta Testers to give them feedback on your experience prior to their public launch later this spring. Since only a limited amount of people will be accepted into the program – you should really think about signing up sooner than later if you want the perks that come with being in the beta program. This company is a technology leader in mobile connectivity. Their founders have invented many wireless technologies you use today in your daily life. Backed by top investors in high tech, their team – led by pioneers in wireless technology – brings mobile communications, security, consumer software and electronics together to deliver the next revolution in mobile services to you. 1. Build your plan 2. Choose your phone 3. Take control! – No Waste, No Worries, No Share plans Needed, No Contracts! Personally, I’ve signed up and am very excited to be a part of this beta program. We currently have a family plan cell phone service where four of us share 700 minutes. 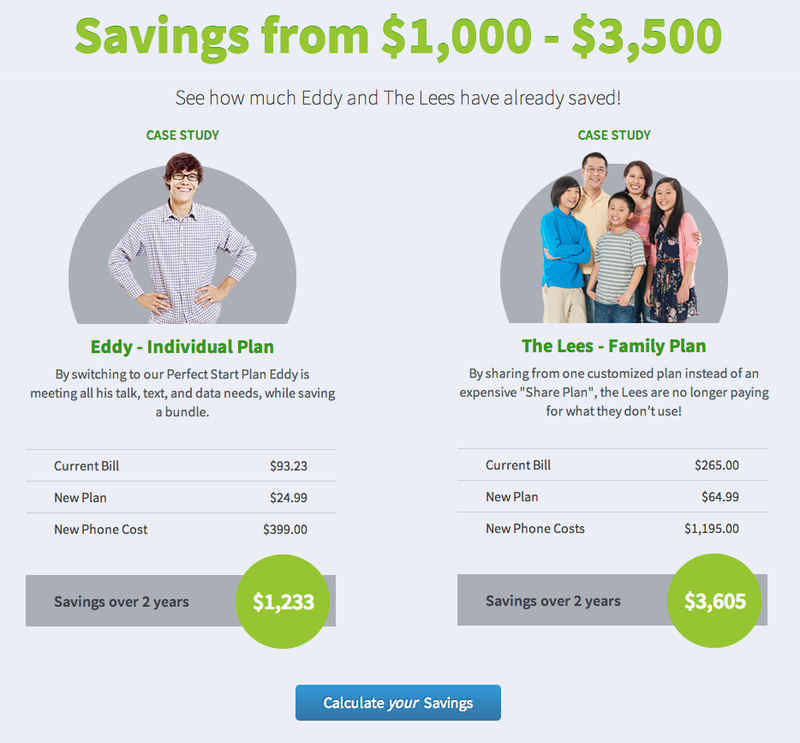 Our plan actually works for us for the most part, but when we added a text plan on three of the four phones – the bill skyrocketed. Two of us text minimally, but found it would be more beneficial to add the 250 message text plan over paying the price of not having a plan. The other text plan on the bill is on a teenager’s phone (need I say more?) – we found it necessary to get her the 1500 message text plan. On occasion one of us will go over our allotted minutes and that is costly. None of our phones has the ability to access the Internet. Well, they do, but I blocked them all for the mere fact that we don’t have a data plan and I didn’t want to be surprised by a huge bill because someone decided they wanted to play (none of our phones are smartphones). And to have the data plan to begin with – was at a cost I wasn’t willing to pay. With this all being said, my daughter has been asking for a smartphone for sometime but that would incur another charge of $30 plus taxes. I was thinking it would be cheaper for us to go get a stand alone prepaid monthly plan…one that is currently available that was… until I learned about this mobile service! I was so excited that I could try out this new beta program. She can have all that she needs for her device and I can customize what I need on my device – we can share the text, data and talk minutes – saving even more. With what we need I’d save nearly $50/mo. And even though the other two individuals on our plan really don’t want or need all the benefits a smartphone has to offer, going with this mobile company’s service would be a LOT cheaper for them too. What I like most is this new cell phone service is the newest revolution of cell phone services. One will no longer be a victim of carrier restrictions as individuals and families will have the ability to create their perfect cell phone plan. People will save a ton of money. Consumers who want a smartphone but don’t need all that comes with a $30 data plan are being over-charged. Why should one pay $30 for a data plan that is hardly used? I would fall into that category. I have no need for all that data yet – I would have to pay that amount – so I go without. With this service – I wouldn’t have to go without. 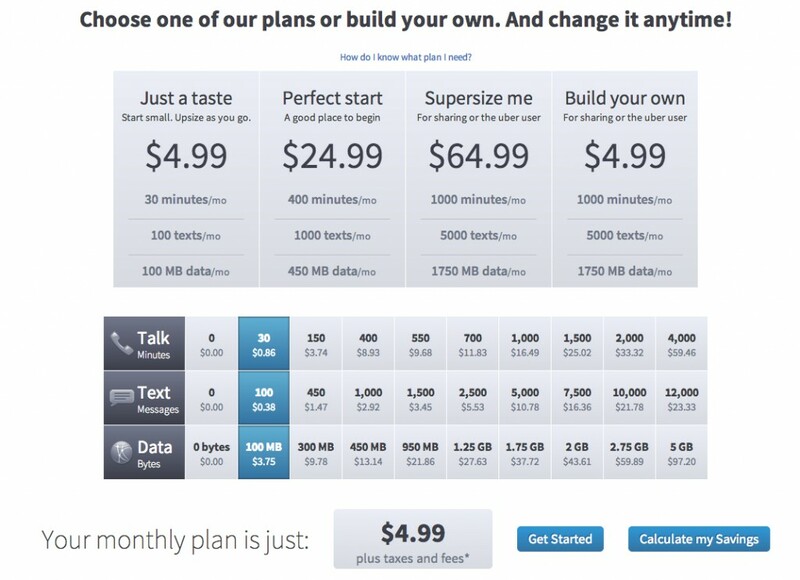 • “With this new service, you can create your own plan based on the unique mix of talk, text and data that’s right for you. You’ll be surprised by how much you can save by only paying for what you need. Say goodbye to one-size-fits-all plans, contracts, and commitments.” I calculated that a plan for myself, for what I really need would cost me roughly a mere $20/mo. plus taxes. 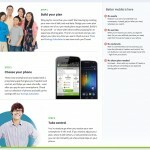 For one of the others on our family plan – a mere $17. For my daughter, roughly $24/mo. and the last person on our plan could customize his plan where he’d only be paying roughly $10. Those numbers are a HUGE savings over what we are paying now. Now those numbers don’t include the price of the phone – but I’ve noticed that even if we were to renew our contract with our current mobile provider – the smartphones cost quite a bit of money – as much if not more than the cheaper ones offered by this mobile service. • “You can share any plan with anyone – from one friend to 100 employees or more. It’s up to you how much talk, text and data you want to share. And there are no commitments or expensive contracts.” Now this may be an option for the last two I talk about on our family plan…even maybe for myself and my daughter. However, I would need to I’d calculate if sharing would be more of a savings over doing each line individually. • “You want to give your child a phone, but you don’t want to worry about how they’re using it. With this service, you can easily set curfews, approve contacts and apps, and determine how much of your plan they can use, all from your phone. You’ll get peace of mind, and they’ll get a phone that grows with them.” – If my daughter were younger, these features would be extremely valuable. I’d love for you to leave me a comment telling me how much you would save! “Only a limited number of new customers will be allowed into the Beta, so the earlier people sign-up, the better their chances. The first round of invitations will be going out this week. I am so excited about this program – you have NO idea! Are you ready to join this Innovative Smartphone Beta Program? Go to the Launch Site and join! **This article is sponsored by Innovative Mobile Company – All opinions are our own. Id like to give it a shot but everytime I try to enroll it keeps kicking me out of roacklauncher for some reason, some type glitch? 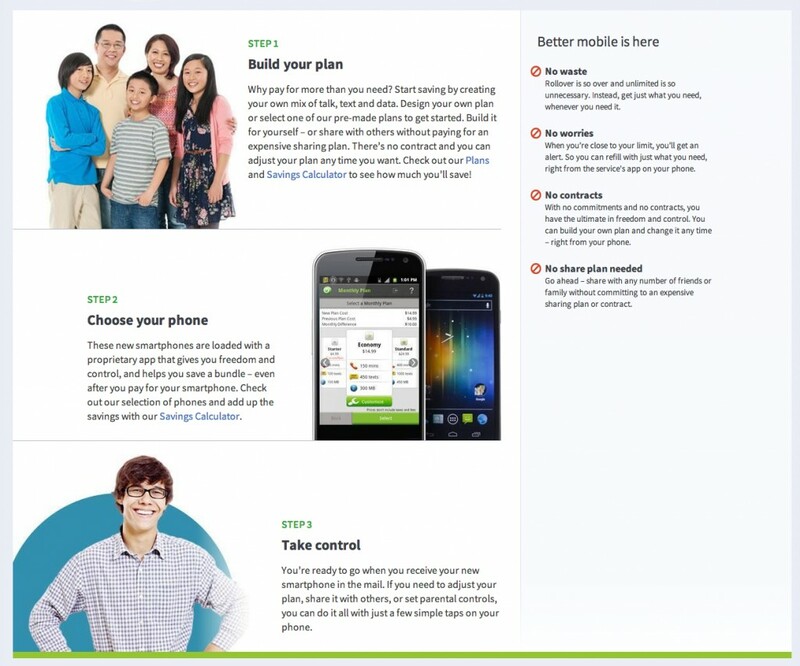 Jaime – did you click on plans then scroll down? Then you put in the amount of the monthly bill you pay now and then click on what you need in the graph. You’ll see a figure of what you’d be saving before the phone purchase. it’s looking for a discount code for the phone. ? Kay – where is it looking for that? I just read an email saying they did away with the codes and the price you see is the price you pay (they included the discount already). Nope Pam, you need not to say another word! has anyone signed up for this yet? Interested in transferring our numbers but hestitent since a little nervous to try something new. Hi Kassie – I have signed up for it. My phones should arrive today hopefully. I did not transfer my number during the sign up process for the mere fact that I am on a family plan right now and couldn’t remember all the details they were asking, plus I had no one in the family to ask at 2am. That said, I had checked the coverage area beforehand and then when I checked out – I was asked my location which verified that I would receive service. I was also asked to put in my current number for the transfer which they verified that it could be ported over. I was a bit nervous about the whole deal too. We’ll see. I was going to change plans anyway b/c our Verizon plan was out of control for what we used. I figure if I’m not happy – I’ll send the phones back and go Straight Talk until I figure out something else. I’m sure once one company does this – many will follow suit. OH – in researching the phones – I half think this may be a spin-off of a Sprint plan…not positive, but that’s what my research leads me to believe. Thanks for the info, i tried doing some research on them but cant find much about anyone else signing up for it yet. I think i may transfer over our numbers for verizon.. were paying 175+ a month for 2 smartphones and 1 dummy line because we needed a replacement phone. Our early termination fee will be $700 but feel if this company really works well it will be so worth it in the amount we are saving. What phones did you go with also? No, you might not find anything on anyone else signing up yet. Being a beta program -it was only announced to the public about 3 weeks ago. Wow…$175/mo – that’s a lot of money! I looked at their share everything plan – that was going to be out of the ball park for us too. You might be able to strike a deal with them on the early termination fee – it’s worth trying. I went with the LG Optimus Elite (black). According to the coverage map – we don’t get 4G LTE Coverage where we live, so it didn’t make sense to spend the extra money on the higher priced phone. Did you get them set up? Do they seem like decent phones?? I’ve got one completely set up, Kassie. The other I’m gonna let my daughter do – it’s her Easter present :). That said, at first I didn’t think the phone was going to be for me because the signal was so weak. However, so far I’ve had no issues receiving or making calls – even when it looks like I don’t have any signal. I did not transfer my old cell number over yet (the phone comes with a number attached to it) one can do this at any time. I decided that before I switch the number over – I am going to wait to see how the phone fairs when I go to the store tomorrow night. I did this for the mere fact that if I send it back – I don’t have to worry about not having a phone. If all is good, I will do the transfer by the end of the month in order to get the $100 extra bonuses. I am loving the fact that I can tether the phone into WiFi networks. There are many ringtones – tones that are loud enough to hear. The set-up was comparable to setting up my Nexus 7 tablet. I will say that I bypassed trying to solve getting my password they assign to my phone (via email) to work myself, as I did have trouble with that. So, instead of researching, I called the number on the website. The first time I didn’t get through – but the second time I did with no problem and the guy was very helpful and patient with me. Honestly, I am thinking I might order another phone at the discounted price – just to have on hand while they are discounted during the beta. Find Online Sales with SaleCamel Is it Time to Replace Your Smoke/CO2 Detectors?